Most shooting games like Call of Duty feature either FPS – first-person shooters or TPS – third-person shooters. The first shooter games have become popular because you get to experience the game from a first-person perspective, with a huge advantage being the realistic feeling about the whole game. Every action is performed by the player and this is what makes the game so enthrallingly nerve wracking. 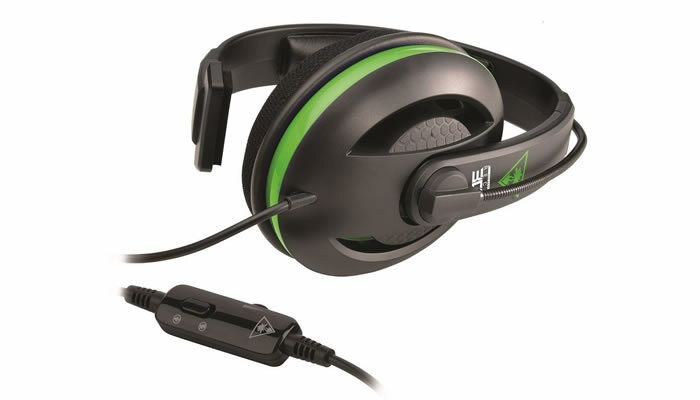 Most people playing FPS games haven’t got a lot of money to splash around so they’re looking for a good headset which is affordable and which also gives good overall sound. Sometimes it pays to go with something more expensive, but still, there are some cheap headphones which will give you excellent sound, and also give you advantages in the games you play. 1. Turtle Beach Earforce Recon Gaming Headset-30X 2.0 fits well and produces a good sound. Going at below £20, the set comes with a boom microphone as well as in-line volume controls. While playing, you’ll still be able to talk with your friends as the headset comes with a 3.5 mm jack . Simple to use, you can connect it to your Xbox for instance for clear chat audio. You can also adjust position of the microphone to where it is most comfortable. The slotted earcup design allows you to enjoy all the sounds within the game while still hearing what’s going on around you. 2. HYPERX Cloud Stinger 2.0 Gaming Headset – this headset goes for less than £35 and its noise cancelling mic allows you to give clear commands. Its ideal for using with mobile devices, consoles and PC. Weighing just 275 grams, the Cloud Singer is nice and lightweight. It can be used across multiple platforms and its 3.5 jack can be used with mobile devices and consoled. You’re able to stay in contact with all the other gamers even when the game is reaching a feverishly hectic stage. The microphone can also be flipped vertically against your head in case you need to mute it. The headband is adjustable and the earcups rotate so that you can find your most comfortable fit. 3. LOGITECH G430 Gaming Headset – going for less than £45 offers 7.1 surround sound. The G430 Surround Sound Gaming Headset comes with Dolby technology which means that the audio of your game is packed with quality, and you’ll be able to hear everything in the game as well as wherever you are. With the noise-cancelling mic, you’ll be able to give clear orders because background noises will be eliminated. The microphone also folds away when its not being used. The cable has volume and mute controls and the lightweight design makes the headset easy and comfortable to wear, with the blue cloth ear cups providing a soft fit. These can also be removed for washing. 4. LOGITECH Artemis Spectrum Gaming Headset RGB G633 7.1 – Going for under £75, this cool headset delivers 7.1 surround sound as well as Pro-G audio drivers for superb sound, providing gamers with a cinematic experience. These headsets come with a retractable boom microphone and noise cancelling technology. There is a mute function when you need to take a break and then you’ll find a LED light comes on, letting you know the mic is muted. There’s another mic included on the cable, making it ideal for using with mobile devices as well. You can adapt the Artemis to suit your gaming style because the LED lighting allows you to select from more than 16 million colours to find the colour to match your gaming rig.The software equaliser also allows you to customise your audio settings. The Artemis is suitable to use with gaming consoles, mobile devices and PCs. 5. LOGITECH Artemis Spectrum G933 Wireless 7.1 Gaming Headset – For less than £120, this gaming headset offers spectacular audio quality for a superb gaming experience. Audio drivers guarantee to delight even the most ardent gamers who can experience 7.1 surround sound, and with Logitech Gaming Software, you can pre-set audio preferences for games or movies. Making use of 2.4 GHz wireless, the Artemis Spectrum provides 12 hours of lag-free gaming on one charge. Artemis Spectrum can be used across all platforms – game consoles, PCs and mobile devices. It has 2 customisable lighting zones and there are programmable G-keys which allow you more control. Don’t give up on gaming with friends and family because you think you can’t afford wireless gaming headset. There are headsets where cost doesn’t have to be a major consideration because we’ve listed headset that will allow you to participate and enjoy incredible sound without breaking the bank.